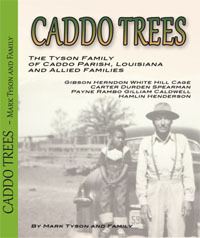 Welcome to CaddoTrees.com-Caddo Parish Genealogy, if you're digging up roots in Louisiana around Caddo Parish this site may be helpful to you. I started out doing my own family tree and soon realized it was turning into a genealogy chart for many families. My father’s family has been living in Caddo Parish for over 170 years, black, white, and Native American all form this history. On ANCESTRY.COM I ran into a few other Caddo researchers who were distant cousins as the whole parish basically is, and we’ve all learned much from our combined years of research into our own family trees. Sooner or later if you’re doing genealogy in Caddo we all cross paths. My family story is common to most African Americans, slavery and the owners of the slaves. The purpose of this site is to document the first two generations off the plantations and further back when possible, along with any old photos I can dig up, stories and family history. This will include some lines on the slave owners as they connect to many of us who carry their blood. As we know when the slaves were freed many took the name of their owner, this could be from a blood relation or just the only name they had to go by. So not all the people in the area with the same last names are related. It can be very confusing and overwhelming at times so this list of family trees will be helpful as most of the information has come from direct family trees and will be pretty accurate. Of course not all records will be perfect as many families have complicated webs to figure out, many adoptions, affairs, and multiple reasons for a person’s record to be in-accurate especially with the first generation off the plantation. So where ever there is a question mark or alternative theory for a person I will list it, and if I’ve made a mistake on your family please let me know so I can correct it. 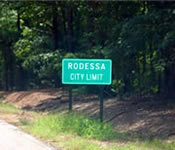 This rural area of NW Louisiana borders Texas and Arkansas and is known as the Ark-La-Tex area, and many of these families have roots in all three states. Not much has been documented on these rural communities and this site is an attempt to add to the few other sites that are documenting these families. 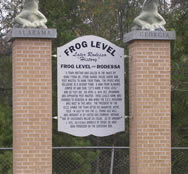 The culture of Northern Louisiana is very different from the culture of Southern Louisiana, especially compared to New Orleans. Caddo Parish doesn’t have the French influence that Southern Louisiana does, most of the settlers in Caddo Parish were English, Irish, and German and had migrated from the Carolina’s, Virginia, Georgia, and Alabama. Where my family grew up (Mira and Rodessa) you still see cotton fields driving up HWY 71, it’s hard to drive by these fields and not think about my grandparents and their parents out there picking cotton in that hot sun. 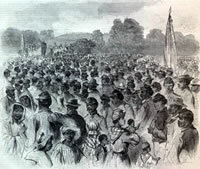 FORMER SLAVES: According to U.S. Census data, the 1860 Caddo Parish population included 4,733 whites, 69 "free colored" and 7,338 slaves. By the 1870 census, the white population had increased almost 25% to 5,913, while the "colored" population had increased over 113% to 15,799.